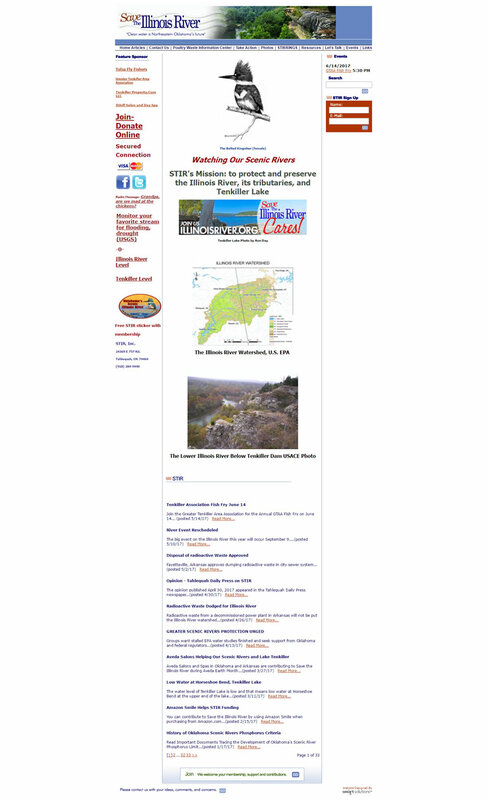 The former STIR website provided members and those wanting to get involved with saving the Illinois River several resources and ways to take action. We worked with the organization to create a website with clear call-to-action buttons and eye-catching images. In addition to creating a mobile-friendly and responsive website, we also organized the content into user-friendly sections. 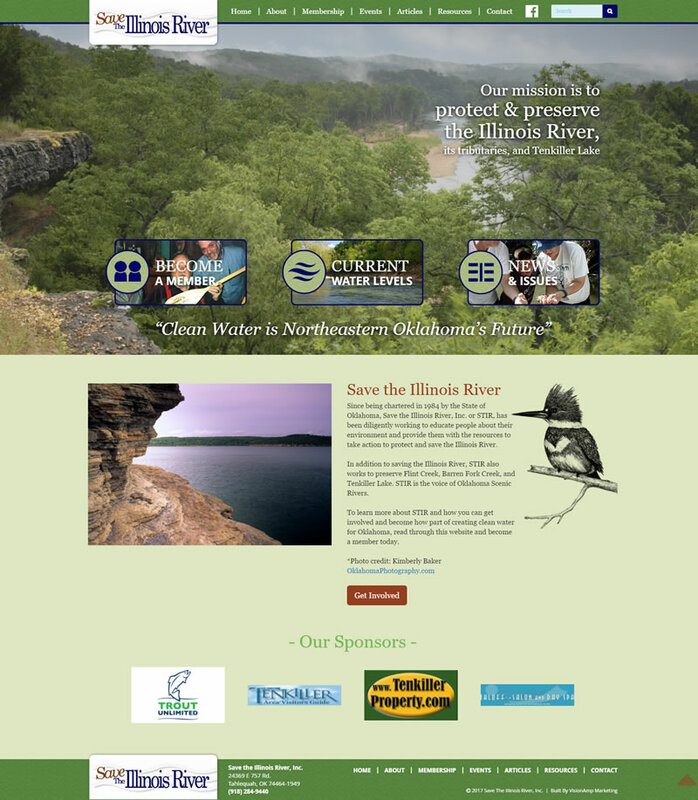 Save the Illinois River, Inc., or STIR, has been chartered since 1984 in Oklahoma. Since that time, they have been diligently working to educate people about their environment and provide them with the resources to take action to protect and save the Illinois River and surrounding waters.